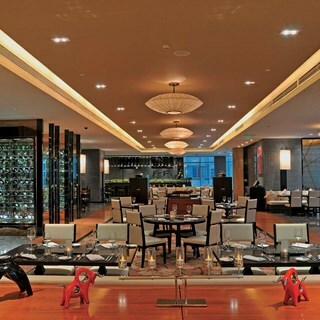 Le Grill Steakhouse proposes the innovative cuisine of Chef Christoph Pouls, a renowned multi-award winning French chef with abundant professional cooking and kitchen management experience. Chef Christoph is well versed with classic French cuisine and during his travel, he picked up other international and Asian cuisines. After which he held a variety of culinary positions with various international hotel chains and became Executive Chef at the age of 28. Le Grill menu features a wonderful array of succulent steaks from around the world, cooked by a unique technique. Christoph Pouls’ creations complement an ever changing menu revolving around the finest ingredients. 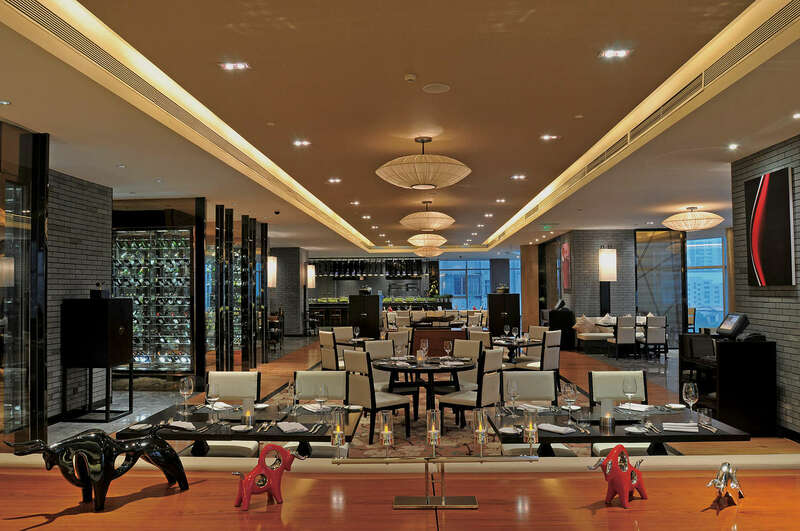 Foie gras, seafood, lamb, handcrafted desserts, and table-side preparations for salads and beef tartar are all present, while Sofitel's inimitable wine selection served by chief sommelier matches the most demanding palates. The modern and elegant restaurant design features 2 walk-through wine cellars, an open kitchen and intimate setting private dining areas with panoramic views to create a memorable dining experience. The superb secluded Chef’s Table is ideal for wine tastings and celebrations. I’m very happy to tell everyone that our sales team successfully grabbed the Snooker group from other competitors, and they will rent Le Grill as a practice court , so Le Grill will be closed from 21st Sep to 30th Sep.. If you can, please leave your contact information. Le grill Restaurant duty phone ：+86 13570914732 . If you have any questions, you can contact us. Thank you very much.